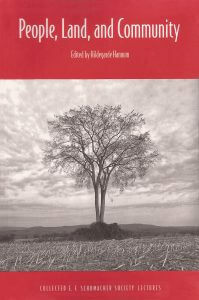 Yale University Press has just released People, Land, and Community: Collected E. F. Schumacher Society Lectures. Edited by Hildegarde Hannum with introductory material by Nancy Jack Todd, the collection of twenty-one lectures was gathered from fifteen years of Annual E. F. Schumacher Lectures. Contributors are: Kirkpatrick Sale, Winona LaDuke, Dana Lee Jackson, David Ehrenfeld, Frances Moore Lappe, Hazel Henderson, Jane Jacobs, Robert Swann, Susan Witt, John McClaughry, Wendell Berry, Wes Jackson, John McKnight, Cathrine Sneed, Thomas Berry, Hunter Hannum, David Orr, John Todd, Stephanie Mills, David Brower, and Benjamin Strauss. We are proud of this publication and hope you will ask for it at your local booksellers. The price is $17 paperback and $35 cloth bound. A big thanks to all Schumacher Center members who have made the Annual E. F. Schumacher Lectures a great event. It is because of your support of the lecture program that this book was possible. The Seventeenth Annual Lectures are scheduled for October 18th at the Clark Art Institute, Williamstown, Massachusetts. The Center for Environmental Studies at Williams College is co-sponsoring the event. John Mohawk, Arthur Zajonc, and Greg Watson are the featured speakers. Registration material will be sent to members in September. Williams College, Williamstown, Massachusetts will again be the site of the Annual Decentralist Conference June 27th-29th. Alana Probst and June Holley are the keynote speakers. See registration material enclosed. Alana Probst is Vice President and Director of Economic Development for EcoTrust of Portland, Oregon. She is responsible for developing and directing programs to assist environmentally responsible businesses in the coastal temperate rain forests of the Northwest. In addition she is involved in a joint venture between Ecotrust and Shorebank Corporation of Chicago which includes a permanent development institution called ShoreTrust, the First Environmental Bancorporation. June Holley is President of Appalachian Center for Economic Networks in Athens, Ohio. In that capacity she has successfully fostered a number of worker owned and managed businesses. More recently she has developed a system of “flexible manufacturing” units-small businesses that come together to respond to a specific business opportunity and then regroup in new combinations as the need arises. Based on a model popular in northern Italy, flexible manufacturing enterprises are a proven tool for small business development. John McClaughry suggested that we use the Newsletter to honor important Decentralist thinkers who are not as well known as Fritz Schumacher, and yet who deserve full recognition for their contributions. John is planning a “Decentralist Reader” with passages gleaned from books and papers in the library of the Schumacher Center. Our first two “portraits” follow. Among the human race’s heroes of decentralism must be a man who actually became the leader of Bulgaria, and died a martyr to the decentralist cause. He was Alexander Stambolisky, and for four turbulent years, beset by murderous opposition, he gave the world an example of what a true non-authoritarian people’s state might be like. The remarkable Stambolisky deserves to be far better known in world history. He was an ardent pacifist, at a time when nationalistic jingoism led every Balkan state into repeated military adventures. He had faith in the ability of the common people-in Bulgaria, principally peasants-to practice self-government at a time when government was thought to be the concern only of the monarch, the nobility and the intelligentsia. He was a fearless man who could look the Czar in the eye and tell him that the continuation of a war would cost the Czar his head. 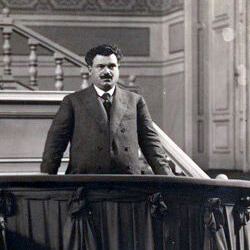 Stambolisky was called upon-reluctantly-by Czar Boris to form a government late in 1919, after the BANU had won the most seats in the parliamentary elections. He refused an alliance with the nascent Bulgarian Communist Party because the Communists would not accept the BANU position favoring private land ownership by the peasants. Ultimately he was able to piece together a bare majority by awarding many important Cabinet posts to minor parties. A Communist-sponsored general strike collapsed, and in the new elections of March 1920, Stambolisky’s BANU won a strong working majority. The cornerstone of BANU’s domestic policy was the idea of “labor property,” a concept essentially identical to that of John Locke. Everyone was entitled to enough privately owned land to support his family; no one could own a vast estate. The Stambolisky government carried out a wide-ranging land reform program, offering compensation to the large landowners who were expropriated in favor of peasants, who paid for their new plots over twenty years at low rates. In the cities, Stambolisky even evicted government bureaus and converted their quarters into apartments for working people, an experiment that may well be unique in world history. On top of this base of widely distributed land ownership Stambolisky fostered a wide variety of cooperatives and credit associations. A national “Grain Consortium” managed the export trade, stabilized the price of grain to the farmers, and ultimately paid to the farmers up to 60% of the trading profits in addition to the price of the grain purchased. Cooperatives were also successfully launched in fishing and forestry. The most famous reform initiated by Stambolisky was Compulsory Labor Service. While the compulsory aspect seems objectionable to many modern readers, it must be viewed in context. At the time, military service was compulsory, and included indoctrination in irredentism and jingoism. Stambolisky converted this form of conscription into the more benign domestic service corps, replacing militarism with practical vocational education. Men served for a year, women for six months. Unfortunately, the program never got a complete test because the upper class forced the government to permit the purchase of exemption, and the World War I Control Commission opposed it as an attempt to rearm in violation of the Treaty of Neuilly. In education, Stambolisky succeeded in creating a new type of secondary curriculum emphasizing practical skills. He broke Communist control of the teaching corps and gave control back to the local communities which thereafter elected their own teachers. All that Stambolisky accomplished-in his brief three years of effective rule-was accomplished over virtually insuperable obstacles. The powerful landowners and propertied classes bitterly opposed him. So did the university professors, who were forced to teach instead of devoting their time to political intrigue. The country itself was under the effective control of the victors of World War I. And finally, some 15,000 hostile, armed soldiers of the exiled White Russian army were at large within the country during the last two years of BANU rule. All of these forces conspired to overthrow the BANU government and brutally murdered Stambolisky and his lieutenants in June of 1923. After Stambolisky’s death Bulgaria slid quickly into turbulence, fascism, and, after World War II, Communist tyranny. Nonetheless he is remembered in his country as a bold and courageous leader in the cause of the common people-and many no doubt would be more than happy to have him back today. Leopold Kohr is one of those few prophets of political thought who are without deserved honor in the rest of the world but are duly and affectionately recognized in their own country. Kohr, who was born in Oberndorf, just outside Salzburg, always insisted that his love and appreciation of the small stemmed from his birthplace, a village of less than 2,000 people, and he has said, “Everything that I have learned worth knowing I learned in that small town.” None the less, he went on to attend Gymnasium in Salzburg, earn a law degree from the University of Innsbruck in 1933 and a second degree in political science from the University of Vienna in 1935 before escaping from Europe in 1938 and taking up positions in North America, first at the University of Toronto in 1939-50 and then at Rutgers University in 1952-5. Thereafter he taught at the University of Puerto Rico (1955-73) and the university College of Wales at Aberystwyth (1973-8), after which he retired to concentrate on writing, lecturing and traveling. An economist by profession and for three decades a professor of economics and public administration in the United States, Puerto Rico and Britain, he has written half a dozen books that have set out and elaborated what he calls “the theory of the small,” most starkly enunciated in the opening pages of his first book, The Breakdown of Nations. “There seems only one cause behind all forms of social misery: bigness. Oversimplified as this may seem, we shall find the idea more easily acceptable if we consider that bigness, or oversize, is really much more than just a social problem. It appears to be the one and only problem permeating all creation. Wherever something is wrong, something is too big.” Breakdown went on to buttress the theory in minute, and engaging, detail, providing arguments philosophic, political, cultural, economic and administrative to prove that small organizations, small cities and small states are more efficient, benevolent, creative and stable than their larger counterparts. It ended with a call for the transformation of big-state systems into a series of small, federated states largely on the model of Switzerland, with many equal and largely autonomous cantons operating in a small-state periphery. Although he has always been influential among that circle of intellectuals critical of modernism—E. 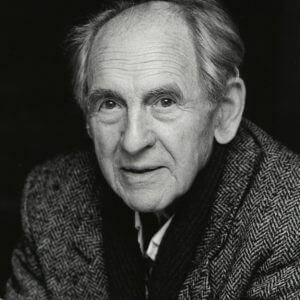 F. Schumacher (who called him “a teacher from whom I have learned more than from anyone else”), Ivan Illich, Herbert Read, Danillo Dolci, John Papworth, Manfred Max-Neef, Edward Goldsmith—it was not until the late 1970s that he began to have any impact on a wider group of thinkers and activists. Breakdown was given its first paperback publication in the United States in 1977, followed by reprints of several other books. He was given a Right Livelihood Award (called “the alternative Nobel Prize”) in 1983, and he was invited to give the annual lecture by the British Schumacher Society in 1983 and the American Schumacher Center in 1989. Still, Kohr never achieved the popularity or influence around the world of such social critics as his friend Schumacher, despite a writing style as accessible and a personal style as congenial. It is only back in Salzburg, Austria, the city in whose shadow he was born, that Kohr has been honored. In 1982 he was given the “key” to the province of Salzburg, and later that year the city was host to a “Leopold Kohr Symposium on the Human Scale” that brought in scholars, activists and friends from all over the world for a week-long celebration of the man and his ideas. In 1985 he was made president of a new Leopold Kohr Academy established in a nearby national park and animal reserve, where courses and symposia on local crafts, village renewal and self-sufficiency are given year-round and an alternative technical center provides a home for experiments. Note: Ivan Illich’s Annual E. F. Schumacher Lecture “The Wisdom of Leopold Kohr” is available in pamphlet form from the Schumacher Center. The $5 price includes postage within the United States. The library of the Schumacher Center continues to evolve as an exceptional resource for decentralist study and action. Cataloguing of Fritz Schumacher’s extensive personal library continues at a steady pace. Even so, it will be at least mid-summer before each of the 3,000 books has been carefully examined, referenced, indexed by subjects, entered into the computer cataloguing system, labeled, and shelved. The collection is already acting, as Kirkpatrick Sale predicted, “as a beacon for other such materials from other quarters . . .” Lydia Ratcliff, a former colleague of Ralph Borsodi and Bob Swann, recently donated a considerable collection of Ralph Borsodi manuscripts (some previously unpublished), files, correspondence, and photographs. Lydia worked closely with Borsodi in editing many of his works, and lent considerable insight into the material as we sifted through it. …Ralph Borsodi, for all his comparative obscurity in recent years, was one of the seminal thinkers of this century and an important visionary for a human-scale world. For more than 60 years – it was an astonishing period of productivity, really – he wrote books, formed organizations, inspired followers, and created institutions that worked to make his concepts of decentralization, self-sufficiency, and community homesteading a reality in America. Borsodi’s achievements were considerable for one man, his philosophy even more impressive, and I suspect his works will continue to gain in popularity as more people in contemporary movements discover them. Sadly, his death came just a few weeks after that of E. F. Schumacher… (Schumacher in fact adapted Borsodi’s line, ‘economics where people matter,’ for the subtitle of his Small Is Beautiful.) With the passing of those two men, the movement toward a decentralized and human-scale world is left much poorer, yet from their legacy much richer. To learn more about Borsodi and his work, join us at the Decentralist Conference in June; Lydia Ratcliff, Bob Swann, and I will present a workshop on Borsodi’s Legacy. It will be fall before we finish cataloguing the Borsodi material for inclusion in the library. This month we begin the process of expanding accessibility to the library by installing LibraryNet, a new software system which will place the entire library catalogue on the internet, so that it may be searched by anyone with internet capability. After this new software is up and running and funding for a full-time librarian is secured, we will begin an intensive campaign of outreach and education. By striving to make our library accessible to researchers, educators, and community activists around the world, we continue towards our goal of developing powerful educational tools for community renewal. We are grateful to members and donors for their continued support. We welcome your ideas for fundraising and outreach; your donations of books, manuscripts, and library equipment; and your financial contributions. The new issue of YES! magazine is devoted to local currencies. Diana McCourt and Jane Wilson of WomanShare, Paul Glover of Ithaca Hours, Edgar Cahn of Time Dollars, law professor and author Lewis Solomon, author Tom Greco-all panel speakers at last year’s Decentralist Conference-are featured in the issue. Subscribers to Local Currency News will receive a copy of Yes! along with Erika’s carefully researched listing of all active local currency groups in North America.